Last night saw the boys working into the dark with the tractor's headlights getting thefirst planting of potatoes in the ground! 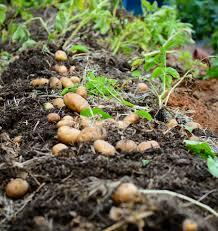 Looking forward to enjoying delicious new potatoes in June! Bring on the summer feasts!